On 07/12/2018 at approximately 1940 hours, a brown Pathfinder, driven by Margot McNally was traveling WB on Carmel Valley Rd E of Country Club Dr. Due to McNally’s high rate of speed and alcohol impairment she was unable to safely negotiate a curve in the roadway and crossed over the double yellow line onto the eastbound lane, directly into the path of a white GMC Suburban, being driven by a 69-yr-old female. After the collision both vehicles came to rest within the EB lane of Carmel Valley Rd and the GMC’s engine compartment caught fire. An off duty firefighter who arrived after the collision assisted the driver of the GMC to safety. McNally, her unconscious 16-yr-old passenger, who was not wearing her seatbelt and the driver of the GMC were transported to Natividad Medical Center. Alcohol was a contributing factor in this collision. We are working with Alcohol Beverage Control (ABC) to determine where McNally and her passenger were able to obtain the alcohol. McNally’s passenger is currently in critical condition. McNally was placed under arrest for driving under the influence of alcohol and causing great bodily injury. EB and WB Carmel Valley Rd were closed for approximately 1 hour and 50 minutes due to patient care, fluids in the roadway, vehicle recovery and the investigation. Reminder: Seatbelts save lives and driving impaired is 100% preventable. Pacific Grove Police Department’s investigation into the terrorist threats left at the Pacific Grove High School continues. Through an anonymous donation of $4000 from a generous member of the community the reward for information leading to the arrest of the person responsible for leaving the threats has been raised to $5000 dollars. If you know who the person(s) doing this is, you can bring a resolution to this matter and help restore the sense of security every student deserves to have on a school campus. You can come to the station at 580 Pine Avenue, call us at 831-648-3143, or email us at pgpdrecords@cityofpacificgrove.org to provide information. If you would like to remain anonymous, you can leave a message on our tip line at 831-648- 3159. Now, more than ever, it is important for our community to work together with us to ensure the safety and security of all. If you see something, please say something. The Pacific Grove Police Department’s investigation of the terrorist threats left at the Pacific Grove High School is ongoing. Unfortunately, we continue to hear from parents that their children are afraid to attend school due to the threats. We know once the responsible person(s) are located, a sense of safety and security will be restored on the campus. Today, we announce there is a $1,000 reward for information leading to the arrest and conviction of the person responsible for the threat terrorizing our community. We ask you to contact the police department if you have information that will help investigator locate the suspect. The SPCA for Monterey County is offering a $1,000 reward for information leading to the arrest and conviction of the person or persons who abused an opossum in Sherwood Park near the Tatum’s Garden playground for children. We are still working diligently on this with PGPD and other law enforcement agencies and have continued interviewing girls who have used the bathroom with the threats written. If we are unable to find the culprit(s) quickly, I will cancel the Wednesday student walk out. In the meantime, we will continue to have added police and adult presence on campus. The police are releasing a media message with much of this same information today. Student and staff safety is clearly our number one priority. On June 13, 2017 at approximately 9:30 a.m., Officers were dispatched to the 100 block of Tide in Monterey reference a head-on traffic collision with injuries. One of the drivers, identified as John Mendoza, 20, of Marina, ran away from the scene. Mendoza was contacted a short distance away by a police officer. The man instead attacked the three, stabbing them and sending “blood everywhere,” Magnum told reporters. She and her friend escaped the train and ran away. The perpetrator was captured and arrested and is facing two counts of aggravated murder, attempted murder, two counts of intimidation, and being a felon in possession of a restricted weapon. Of the three Good Samaritans, Ricky John Best, 53, of Happy Valley, OR died at the scene. The military veteran worked as a technician for the city of Portland. 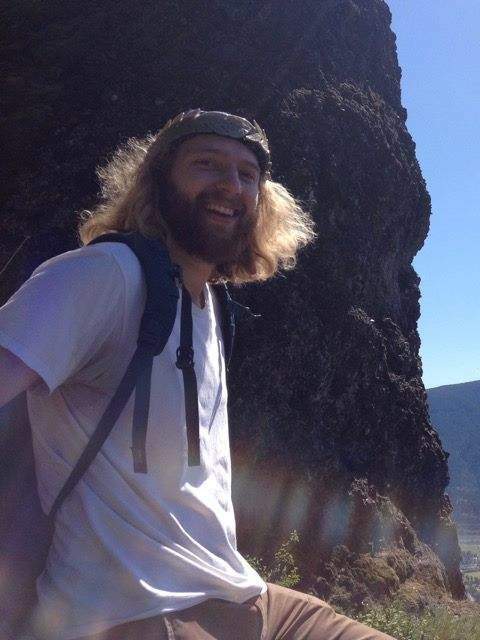 Taliesin Myrddin Namkai-Meche, 23, of Portland, died at the hospital. It has come to light that Meche was once a student at Stevenson School in Pebble Beach, and would have graduated with the Class of 2012. He withdrew and finished high school in Ashland, OR where he was raised. He had graduated from Portland’s Reed College with a degree in economics last year and had just begun his career working at an environmental consulting agency. The third victim, Micah Fletcher, 21, is still in the hospital being treated for serious injuries. On November 23, 2016, Raul Melendez was the victim of a shooting homicide that occurred in the 600 block of Wave Street in Monterey. 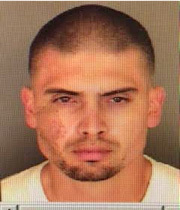 The Monterey Police Department (MPD) assisted by the Peninsula Regional Violence and Narcotics Team (PRVNT) identified the suspect in this homicide as Jorge Luis Mendoza and a warrant was obtained for his arrest. The investigation determined after the shooting, Mendoza, an American citizen, fled to Mexico. MPD and PRVNT requested assistance from the United States Marshals Service in locating and apprehending Mendoza. On March 16, 2017, Mendoza was arrested in Mexico by local authorities. On March 18, 2017, Mendoza was transported back to California and turned over to MPD and PRVNT. Mendoza was booked in the Monterey County Jail for murder and his bail was set at $1,300,000. On February 9, 2017 at approximately 11:54 a.m., Monterey County Probation Officers and Pacific Grove Police Officers assisted Peninsula Regional Violence and Narcotics Team (PRVNT) Detectives with a probation compliance search in the 400 block of Grand Avenue in the City of Pacific Grove. 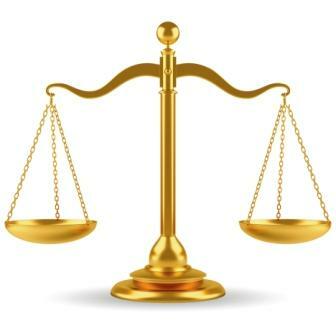 On Jan. 11 James Kline, 62, was convicted of financial elder abuse and grand theft. In the summer of 2015, Kline, a handyman, did various home repairs for an elderly victim, then age 87. He went with the victim to her credit union to assist her in obtaining an ATM card. Over a period of several weeks, he unlawfully withdrew over $2000 using the ATM card he helped the victim obtain. The victim’s son, who was monitoring his mother’s accounts, notified the credit union of these abnormal withdrawals. The credit union then notified the Pacific Grove Police Department of this suspicious activity. Sgt Rachel Beuttler of the PGPD began investigation into the thefts which ultimately resulted in the conviction. Kline is scheduled for sentencing on February 24, 2017 before Judge Pamela Butler and faces a maximum of 4 years in local jail pursuant to realignment. If you have any information about this crime, please contact the department at 831-648-3143. On Wednesday,November 23, 2016, at approximately 1:41 am, the Monterey Police Department (MPD) responded to the 600 block of Wave Street in Monterey on the report of gunshots being fired. MPD arrived and located one victim at the entrance to the Cannery Row Parking Garage, located in the 600 block of Wave Street. On November 14, 2016 at 1:32 PM, Monterey Police Officers responded to a report of an attempted child abduction at the Monterey Library, 625 Pacific Street. Two siblings, ages eight and six, reported an adult male attempted to lure the children into his vehicle, which was parked in front of the library. The children fled to Monterey High School where they reported the incident to a staff member. The suspect was described as a Hispanic male adult of middle age, with shoulder length white hair and a long white beard. He had a tattoo of a rose on his neck and wore several bracelets and rings on both hands. The male was last seen driving toward Larkin Street in a newer model white coupe, possibly with black graphics on the door panels, which had damage to the interior seating surfaces. Anyone who may have seen anything or may have information about this case is asked to call Detective Sergeant Blair with the MPD Investigations Division at 831-646-3814, the MPD General Number at 831-646-3830, or the confidential tip line at 831-646-3840. Last night at about 7:30 pm, Seaside Police Officers responded to the report of a man with a knife who had just attempted to commit a robbery. A subject fitting a similar description also brandished a knife earlier in the day. On Monday, October 10, 2016, at approximately 4:13 am, Seaside police officers and Detectives from the Monterey Peninsula Regional Violence and Narcotics Team (PRVNT) responded to the 1200 block of Ord Grove Avenue in Seaside on the report of a shooting inside a residence. In the early morning of September 25, 2016, an officer of the Pacific Grove Police department observed a suspicious vehicle in the area of Congress Ave. and Sunset Dr. It was discovered that the vehicle had stolen license plates on it. Officers contacted the occupants as the vehicle stopped in the 700 block of Marino Pines. Further investigation revealed the vehicle was stolen from Salinas. A search of the vehicle revealed stolen property and drugs. Both occupants were arrested on charges of possession of stolen property, possession of controlled substances. They were booked at the Monterey County Jail. Arrested were Ryan Ralston, age 27 and Dennis Ortiz, age 24, both of Salinas. Per the Administrative Hearing Officer’s decision: Bruiser has to move outside Pacific Grove, and his owners, the Hanes, have to properly dispose of all poop at the property and give written proof to the City, all within 30 days. Penalties: $50/day for each day the pig remains after 30 days from July 21, 206. Hanes have to pay admin costs of $467.50 to the City on or before August 20, 2016. 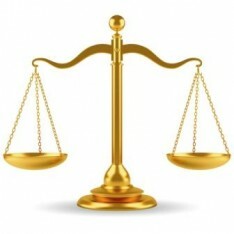 Appeal is possible as is judicial review. 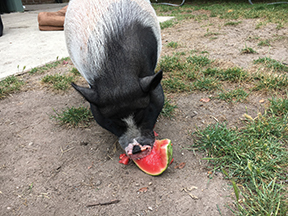 Findings: The City classified Respondents’ pig as a pet, not requiring a special permit. In September of 2014, Complainants called police to complain about offensive odor of feces coming from Respondents’ yard and to ask about what they could do. Offensive odor of feces and flies recur in Respondents’ yard. Respondents have allowed accumulation of feces to occur in their yard in a manner that creates a nuisance. Respondents’ travel out of town for several days at a time, leaving their animals at home. Respondents were aware of odor complaints before issuance of the Order. Respondents were aware of their obligations under PGMC §10.08.050 before issuance of the Order. Respondents were informed of possible methods of abating the nuisance on more than one occasion. Respondents improperly disposed of animal waste in their yard waste bin. There is no direct evidence addressing how Respondents’ animal waste might become a danger to the environment in accordance with PGMC §9.16.110, waste disposal prohibition. On the morning of June 9, 2016, the Pacific Grove Police Department was notified that a truck had been stolen from the 100 block of Sloat Street. At 11:30 a.m., one of the Parking Enforcement Officers observed a truck matching that description and broadcast it to our officers. A Pacific Grove Officer observed the vehicle and initiated a traffic stop in the 600 block of Laine Street in Monterey. The driver of the vehicle attempted to evade the officer by driving east on Laine Street and then turning onto Reeside Ave, which dead ends at the Presidio of Monterey fence. The vehicle came to a stop when it struck the fence and retaining wall. The driver and passenger fled on foot from the scene, ignoring the officer’s emergency equipment. Officers from the Monterey Police Department and Pacific Grove Police Department canvassed the area and the driver of the vehicle was taken into custody by MPD officers. The passenger of the vehicle, described as a male, aged 20-30 in a gray shirt and light-colored pants is still at large. If anyone has information about the passenger, please contact the Pacific Grove Police Department at 831-648-3143. 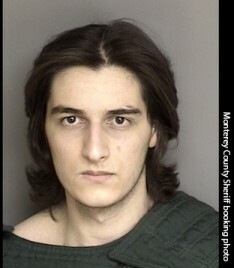 The suspect has been identified as Adrian Chronister and will be booked at the Monterey County Jail. Double Fatality Hwy. 1 at Jensen Rd. On May 27, 2016 at approximately 3:03 a.m., Monterey Police Officers responded to Montsalas Drive regarding a shooting. Officers found an unoccupied vehicle that had been vandalized and shot multiple times. 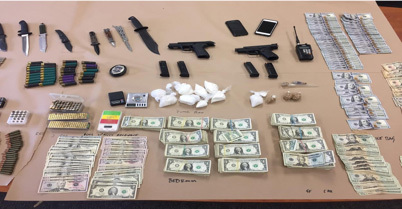 On May 27, 2016 at approximately 3:00 p.m., Monterey Police Officers and Detectives with the Monterey PPRVNT served a search warrant there, at the residence of Brendan Powers. As detectives were serving the search warrant, Brendan Powers, 32, of Monterey returned. Powers was arrested without incident and charged with discharging a firearm, vandalism, and violation of a court order. Powers was transported to Monterey County Jail and his bail was set at $100,000. The motive for the shooting is unknown at this time. Injury apparent in Powers’ booking photos was unrelated to this incident. If you have any information regarding the shooting and vandalism, please contact PRVNT detectives at (831) 646 – 6926 or if you wish to remain anonymous, please contact the Tip-Line at (831) 646-3840. It may sound like a round of “Musical Police Chiefs.” but retired Pacific Grove Police Chief Darius Engles said his new assignment as Interim Police Chief of King City was part of the plan made when he stepped into the position of captain with that troubled police force in December, 2015.